Welcome to the website of the seventh annual graduate conference of the Department of English and American Literature at Brandeis University! Please save the date! The tabs on the left contain all the information concerning the conference; please register by October 2nd to ensure your place for lunch. We will be updating this site regularly, so check back soon! 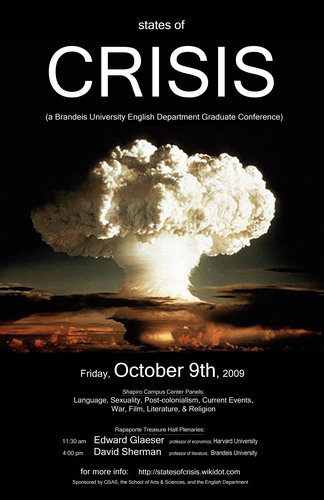 General questions about the conference should be sent to statesofcrisis[at]brandeis.edu.